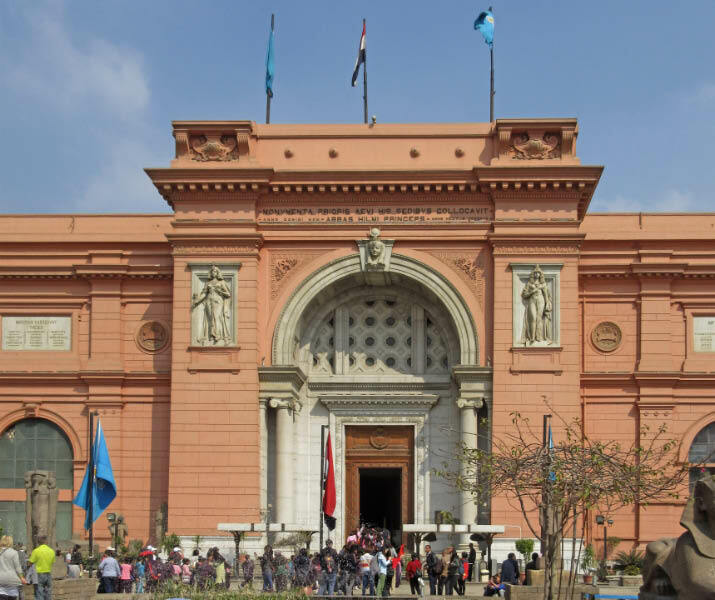 Begin the day with a tour through the Egyptian National Museum, home to some of the world's greatest archealogical and artistic treasures. 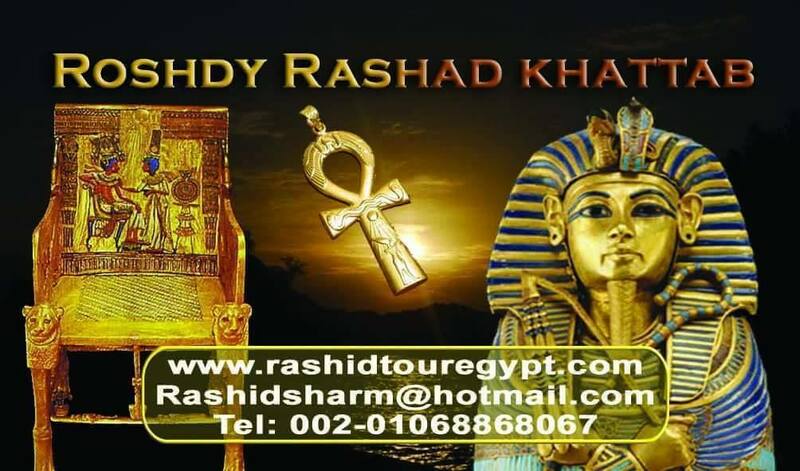 Your guide will customize your visit to suit your interests. 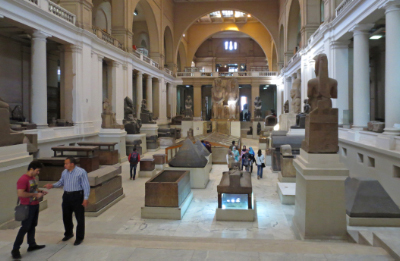 Take a leisurely stroll through five thousand years of history, or just visit the museum highlights. 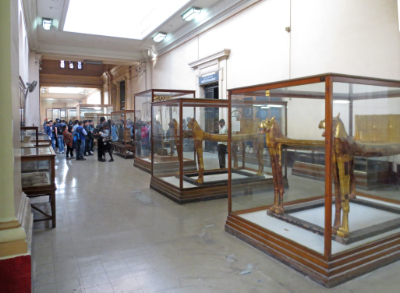 There are 107 exhibt halls in the museum. 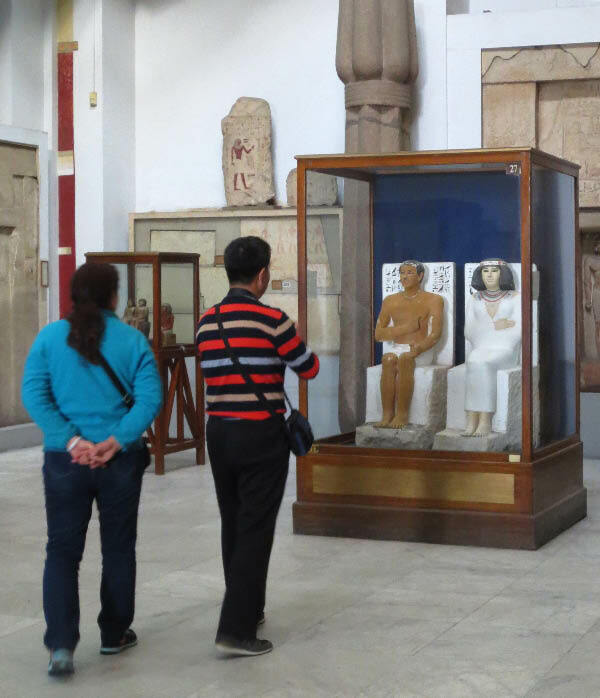 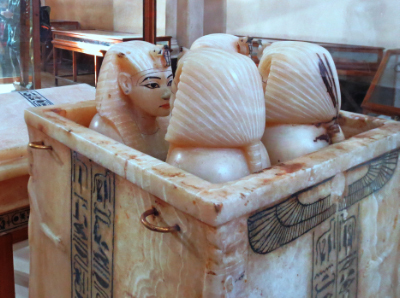 Most visitors like to take a close look at Rahotep and Nofret. 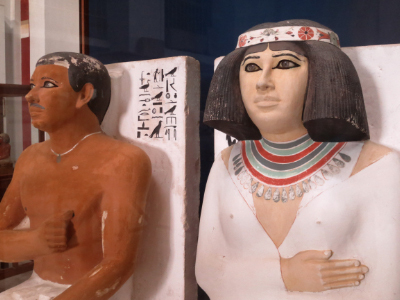 Their statues are remarkably well preserved. 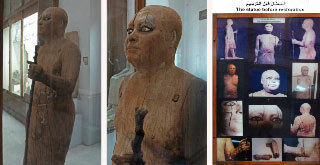 The statue of Kaaper draws much attention from art students since the piece is constructed from wood and dates from around 2500 B.C. 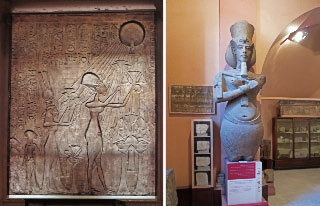 Akhenaten, the father of monotheism, has a full room on the main floor devoted to him and his consort, Nefertiti. 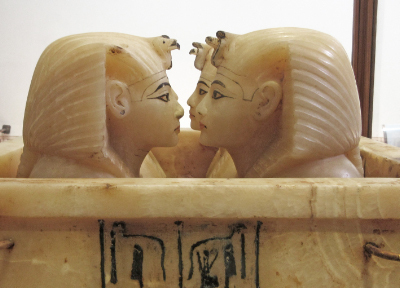 Our focus will now shift to the second floor of the museum and the son-in-law of Akhenaten, Tutankhaun. 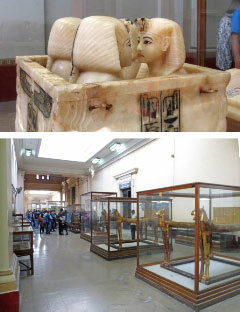 The exhibits on the second floor lead the visitor along a walk past the many treasures recovered from the tomb of King Tutankhamun. 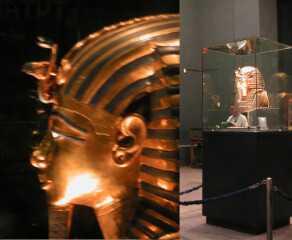 A special viewing room contains the solid gold mask and other most precious treasures of King Tut. 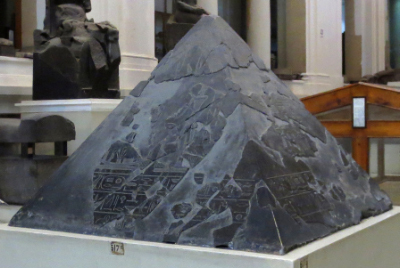 Cap your visit to the museum in the main floor central gallery with a view of a pyramid capstone from one of the pyramids at Dashour. 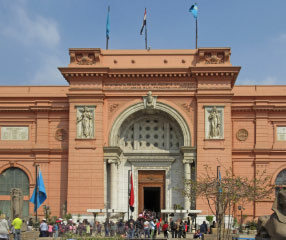 After a stop for lunch (not included in price) you may want to continue your tour with a visit to Old Cairo and the Citadel.